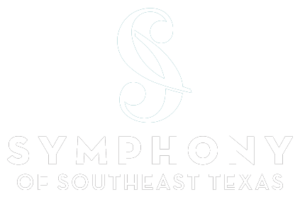 The Symphony of Southeast Texas requests the honor of your presence for “A Marriage of Bach & Beethoven.” This second classic concert in the series brings us the classical era’s beloved composers Mozart, Bach, and Beethoven, as well as SOST’s very own Mauricio Oliveros, Brian Shook, Jennifer Isadore, and Stanley Chyi. In tonight’s overture, The Marriage of Figaro is a comic opera by Wolfgang Amadeus Mozart, with an Italian libretto by Lorenzo Da Ponte, based on Pierre Beaumarchais’ 1778 stage comedy, Le Mariage de Figaro. Beaumarchais’ play was at first banned in Mozart’s home city of Vienna because its anti-aristocratic overtones were considered dangerous in the decade before the French revolution. Da Ponte’s libretto omitted the original’s political references and the opera became one of Mozart’s most successful works and the overture is especially famous and is often played as a concert piece.